Angela and David Cockerton, owners of Garleton Lodge, a luxury small hotel in East Lothian, are delighted to announce the launch of their new handmade chocolate business – The Chocolate Stag. Having worked in the property and catering industries in the Middle East, Angela and David Cockerton decided to return to the UK and set up a small hotel, Garleton Lodge, which offers a careful blend of five-star luxury in a homely environment. One year on, and having received various quality and food awards for the hotel, Angela (and David) have launched their very own handmade chocolate business – The Chocolate Stag – which is a complementary business to Garleton Lodge. David & Angela previously ran a very successful handmade chocolate business before they moved to the Middle East. This was Angela’s first step towards following her (& David’s) passion for food & drink after more than 20 years as an accountant in the corporate world. The chocolate business has been ‘waiting to happen again’ – since their businesses in the Middle East focused on catering and a Cookery School. Relaunching the chocolate business has always been part of Angela & David’s business plan since their return to the UK and establishing Garleton Lodge. In 2017, they launched Garleton Lodge primarily as an accommodation business. In 2018, their plan has been to expand Garleton Lodge, with greater focus on the food & drink/restaurant side of the business and to (re)launch the chocolate business. This is now a reality. 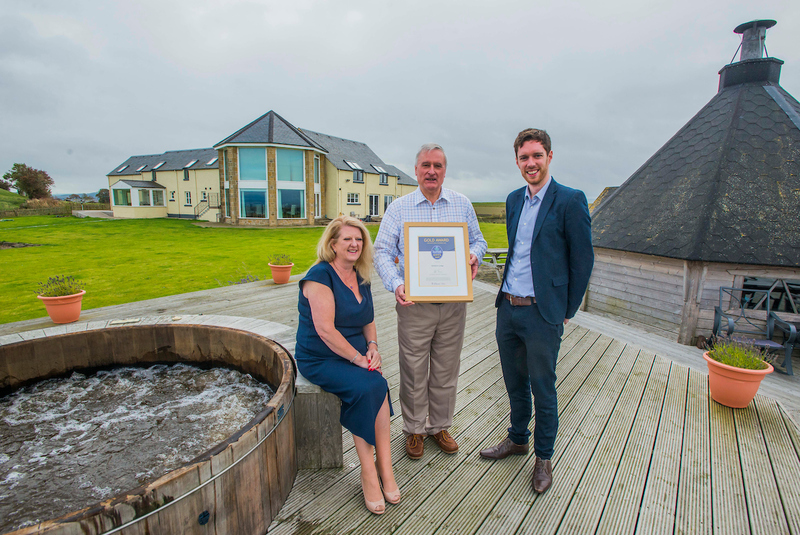 Next, the plan in 2019, is to add a Cookery School onto Garleton Lodge to add yet another reason for guests to stay at this amazing hotel – which recently received a Quality Assurance Gold Award from Visit Scotland. North Berwick station has been nominated as one of the best stations in Britain. ScotRail has announced that North Berwick station has been shortlisted in the ‘Station of the Year’ category of the National Rail Awards 2018. The East Lothian station will be judged against set criteria, including safety, infrastructure and customer-friendly presentation. North Berwick station was reduced to a single platform in the 1960s and lost its traditional buildings in 1984. However, it remains a pleasant and welcoming seaside terminus, thanks to the award-winning efforts of station adopters North Berwick in Bloom and to the work of station newsagent Craig McLaren who has produced a guide to the attractions of the town. “North Berwick station remains one of the most welcoming stations on our network, and we are absolutely delighted to see it shortlisted. ScotRail will take another step forward in delivering faster journeys, more seats, and better services for customers with the introduction of a brand new Hitachi class 385 electric train to its North Berwick route. Passengers travelling between North Berwick and Edinburgh will be able to experience the new six-carriage train from Monday, 10 September, as ScotRail continues its commitment to building the best railway Scotland has ever had. This is the third of the new Hitachi trains to be introduced, with two of the new fleet already operating between Edinburgh and Glasgow Queen Street via Falkirk High. 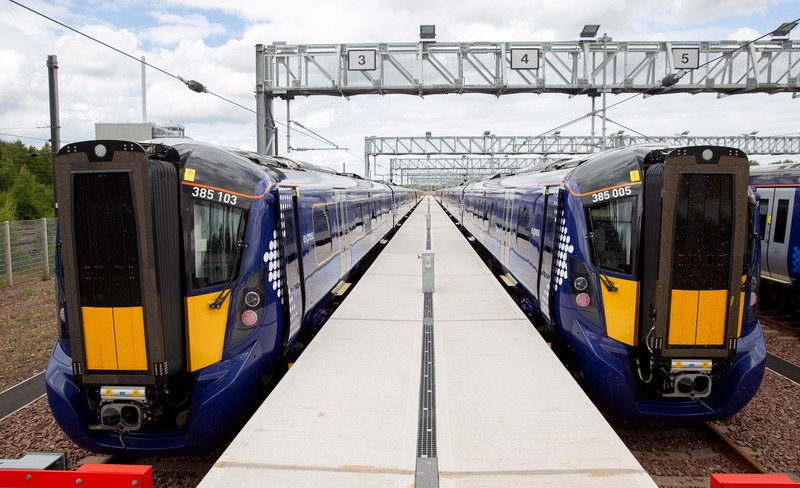 The trains are part of ScotRail’s £475 million rolling stock investment, following the £858 million electrification of the line between Edinburgh and Glasgow by Network Rail. Customers using the North Berwick route will now be able to use the class 385 train on as many as 15 services throughout the week, with a further 12 on Saturdays. It’s the latest in a range of improvements to services in East Lothian, with many of the trains on the route already operating with six carriages, and the majority of peak-time trains expected to run with this increased capacity by the end of the year. Further class 385 trains are due to be introduced on the North Berwick line before the end of the year. “I am delighted that we are able to introduce another brand new Hitachi class 385 train, this time to the North Berwick route. We know that our customers will really notice the difference from Monday. “This is another step forward for ScotRail as we continue our commitment to building the best railway Scotland has ever had. “This latest introduction of the class 385 fleet brings the benefits of our new electric trains to North Berwick and Dunbar services and is just the start of delivering more seats across peak services and improved facilities to passengers along this route. The county’s MSP and MP are hosting an event at the Loch Centre in Tranent as part of this year’s Macmillan ‘World’s Biggest Coffee Morning’ campaign. Iain Gray MSP and Martin Whitfield MP will host a coffee morning with the assistance of Loch Centre staff, who are long-term supporters of the high profile annual fundraising event. The event will take place on the official Macmillan world’s biggest coffee morning day, Friday 28th September, from 10 am to 11:30 am. “I have always supported and helped promote Macmillan’s world’s biggest coffee morning, including organising my own event in the past. Staff at the Loch Centre have supported the campaign for many years too, so I’m delighted that we’re joining up with them to host an event this year. “Macmillan’s world’s biggest coffee morning has become well established as one of the highest profile fundraising campaigns on the annual charity calendar. It’s a cause everyone can get behind and I’m delighted to be working with Iain and Enjoyleisure to support it this year. Macmillan Cancer Support has been running the World’s Biggest Coffee Morning for nearly 30 years and last year alone the campaign raised £27 million for the charity. Anyone wishing to hold their own event in East Lothian can get advice and support from Macmillan. It couldn’t be more simple to get involved – all you need to do is get together with family, friends or colleagues over coffee and cake. 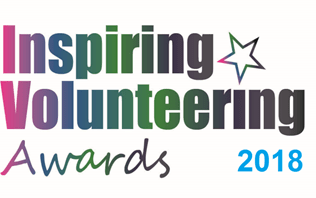 Nominations are now open for the East Lothian Inspiring Volunteering Awards 2018! The Awards are organised by STRiVE, the Third Sector Interface for East Lothian, to recognise and celebrate the wide-ranging achievement and significant impact that volunteers make within our county. This is your chance to tell STRiVE who makes a difference in your community. Take a look through the categories below and complete the nomination form to tell them why you think your volunteer or volunteer team should receive an Inspiring Volunteering Award. Shortlisted nominees will be invited to the award ceremony in late November 2018 where each category winner will be presented with an award trophy and all runners-up will be presented with a certificate. The closing date for nominations is 17 September 2018. Nomination packs are attached in both Word and PDF formats. Please return forms by email to admin@strive.me.uk or print and post to: STRiVE, 56 High Street, Tranent, EH33 1HH. Alternatively, hard copies of the forms will be available from the STRiVE office in Tranent. A pioneering project run here in East Lothian is helping to inform a national campaign on raising awareness around attachment issues for adopted and looked after children. 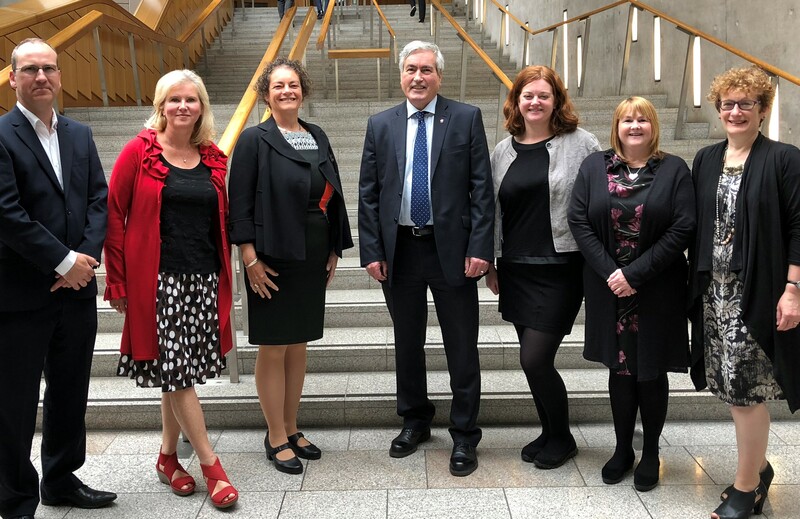 Iain Gray MSP met with representatives of Adoption UK at Holyrood to learn more about the Attachment Ambassadors’ Project which the charity has been running in the North Berwick schools cluster. The project aims to raise awareness of attachment issues and early trauma which can put children at a significant disadvantage in schools unless handled with sensitivity, understanding and appropriate responses to challenging behaviour. The project ran a series of workshops and training events for teachers, other school staff and parents, covering issues such as child development, inclusion and peer support. An in-service day conference on attachment, relationships and resilience was also attended by 130 teachers. Six teachers, one in each cluster school, subsequently became Attachment Ambassadors, attending training provided by Adoption UK and receiving ongoing support in the form of group and 1 to 1 meetings. Following the success of the project in the North Berwick cluster, the charity is planning to roll out the same project structure in schools in the Haddington and Lammermuir partnership area. At the same time as this local project was being delivered, Adoption UK has been developing its Equal Chance campaign to make every school attachment-aware and raise awareness of the systemic changes needed to give adopted children the same chances as their peers. The campaign launches on 27th June and Iain Gray MSP will host a reception at the Scottish Parliament on 4th September to highlight the campaign and its objectives to MSPs and the Scottish Government. Iain Gray MSP said “I was pleased to meet with representatives of Adoption UK and find out more about its Attachment Ambassadors’ Project. The project has clearly been a big success in the North Berwick cluster, with teachers, other staff, parents and pupils themselves all benefiting from the training and support it has provided. “We know that looked after and adopted children can face particular challenges at school, so it’s really positive to see East Lothian playing an important part in helping to increase understanding of children’s experience of attachment issues and how schools can better support them. “The experience in schools in the North Berwick cluster shows that the project is not only beneficial for adopted children but that all children can benefit from increased awareness and understanding of attachment issues, relationships and resilience, as well as behaviour management approaches. Fiona Aitken, Adoption UK’s Director, Scotland, said: “We are grateful to have received funding to continue our work in schools in East Lothian – our continued presence in the area allows us to offer ongoing support to teachers and schools who have implemented our Attachment Ambassador programme. “This programme, led by our education project manager and adoptive parent Kathy Allan, offers an opportunity for all children to benefit from school staff team’s increased knowledge and awareness of trauma and attachment issues. “Our Equal Chance campaign is designed to offer adopted children the same chance as their peers in school, through programmes such as ours and encouragement of others to ensure their needs are better met and understood in their educational placement. Adopted and care experienced children are at a disadvantage due to their early experiences – we want to change their experiences of school to support them to achieve their potential. Help East Lothian improve its recycling rate by introducing wheelie bins – not boxes.